Is Privy Right for Your Business? 25 Jan Is Privy Right for Your Business? You already know that Privy real estate software can help you close more deals in less time, but it’s not for everyone. Even though hundreds of agents and investors are closing millions of dollars in real estate deals, we know that we can’t be a fit for every single person out there. We all know monthly fees add up, and most of us already have enough to deal with between E&O insurance, MLS fees, broker and desk fees, Realtor memberships, e-contracts, and everything else we use to make our business run as effectively and efficiently as possible. So, before investing in a new tool for your business, it’s best to ask yourself, is Privy right for me? An easier way to determine if you should invest in Privy might be to ask, who isn’t Privy for? Who isn’t a fit for Privy? If 2016 is a year to coast, manage properties, and focus on other things, Privy won’t be of much help to you. It’s all about helping investors and agents find better deals in less time, and analyze and present those deals to all members of the team with a few clicks of a button. If you don’t plan to acquire or get rid of any properties, there’s not much use in using our software. This goes for you or your clients. If you’re not currently investing in Denver, CO, Washington D.C, Virginia, Maryland, or New Jersey, then at this moment, Privy won’t be able to help you find and close more deals. Currently we are only in the above markets, but we are in the process of expanding to the 20 biggest real estate markets in the country within the next 18 months. Keep your eyes open for the announcement of Privy coming to your market. You can get some of the data we present to you in other places such as the MLS, county records etc… and you can analyze your own deals and present them using the same sources, and a little excel and photoshop magic. Sure, we think you can do all that in about 1/10th of the time with our software but if you’ve got nothing better to do all day than click around the MLS, run data analysis and deal with back and forth with your team, then you probably don’t need our software. Our algorithm rocks. One of the best parts about it is enables us to run instant CMA’s to give you a clear understanding of what a deal is worth. We even show you Investor Comps with before and after pictures, and use custom, hand drawn boundaries to make sure you get only the most relevant comps for your deal. If you like to build data analysis spreadsheets, analyze new neighborhoods based purely on the raw data, and run numbers over and over again, you might not get your Excel fix when using Privy. We make all that easy. You can do it with the click of a button. We’re going to be honest, you’re going to spend a lot less time using the MLS if you’re using Privy. We take all of the data in real time, and present it in a easy to understand , visual manner. It’s awesome. But, if you love clicking around the MLS and spending hours of time on the site trying to run comps for your investor clients, find deals for each one, and loading pictures and property info, you might be disappointed. We don’t mean to be redundant, but we pretty much have automated all of that, so all you have to do is login, and press search, or “LiveCMA.” It’s great. If you find yourself agreeing strongly with more than one of the above, Privy may not be for you. 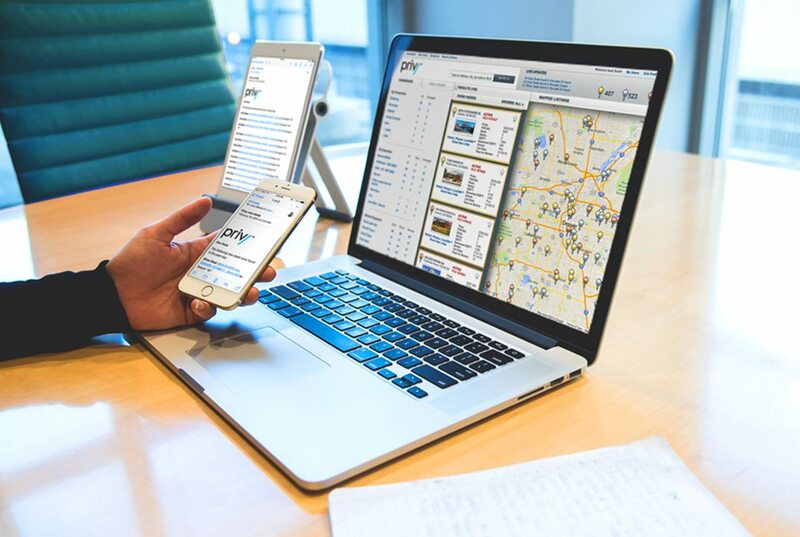 If you value your time, and would like to save hours a day finding, analyzing and presenting deals, Privy may be the right choice for your business in 2016.